The easy-to-use filters began as - and continue to be - a vital tool for some of the 780 million people who don’t have ready access to safe drinking water. This leaves them at risk for diarrheal disease, which kills more than 1.5 million people every year. Safe drinking water is especially important for vulnerable groups, such as children under five, pregnant women and people living with HIV. LifeStraw water filters also prevent cryptosporidiosis, a major cause of diarrheal illness in people living with HIV and children under five. In other parts of the world, LifeStraw filters are an essential part of outdoor exploration and emergency preparedness. 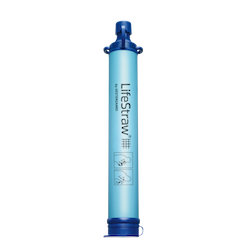 People all over North America use LifeStraw filters as a lightweight, reliable way of getting safe drinking water while they hike through mountains or camp in the woods. These filters are also a crucial addition to any emergency preparedness kit, and having a LifeStraw filter on hand when disaster strikes can mean survival in situations when water sources are contaminated or cut off. LifeStraw water filters comply with US Environmental Protection (EPA) 1987 Guide Standard and Protocol for Testing Microbiological Water Purifiers. Each product in the LifeStraw portfolio is designed for a specific situation where safe water is needed but not readily available. LifeStraw offers specific products for international health and development as well as products sold to consumers for outdoor recreation, travel and daily hydration. 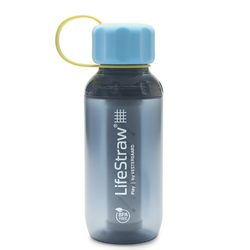 LifeStraw filters and purifiers are available in several models to suit your needs. 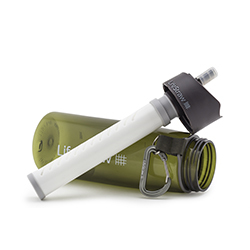 Filter models include the LifeStraw Personal Water Filter, Go Bottle with 2-Stage Filtration, Steel, Universal, Flex, and Play, and are great portable filtration solutions for personal use. Purifier models include the LifeStraw Family, Mission, and Community, which are ideal for groups and long-term use in remote areas (such as base camps or cabins) or disaster response hubs.